Juan Flores, a born and raised Hoosier, has lived in Indianapolis, IN for a decade now. During that time, he earned his BFA in visual communication design while picking up photography as a creative side project. Fast forward to today, he is a social media manager for a local camera store, which he uses his technical and informal skills to capture Indiana through his point of view. Take his upbringing near Lake Michigan with a fond love for architecture, he documents the natural and architectural landscape that this city has to offer. 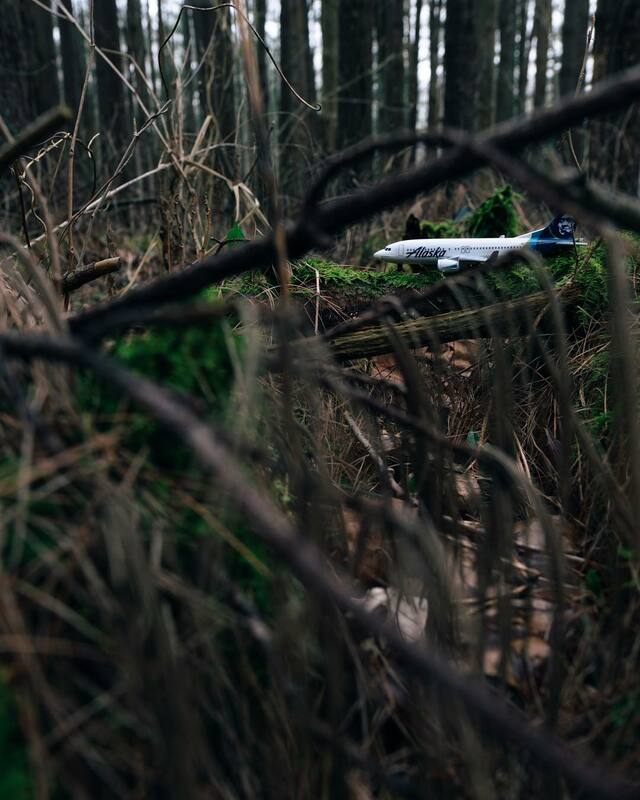 He recently took over the Alaska Airlines Instagram account as a “Local Wanderer” as a part of Alaska’s Weekend Wanderer series. Happy Monday! 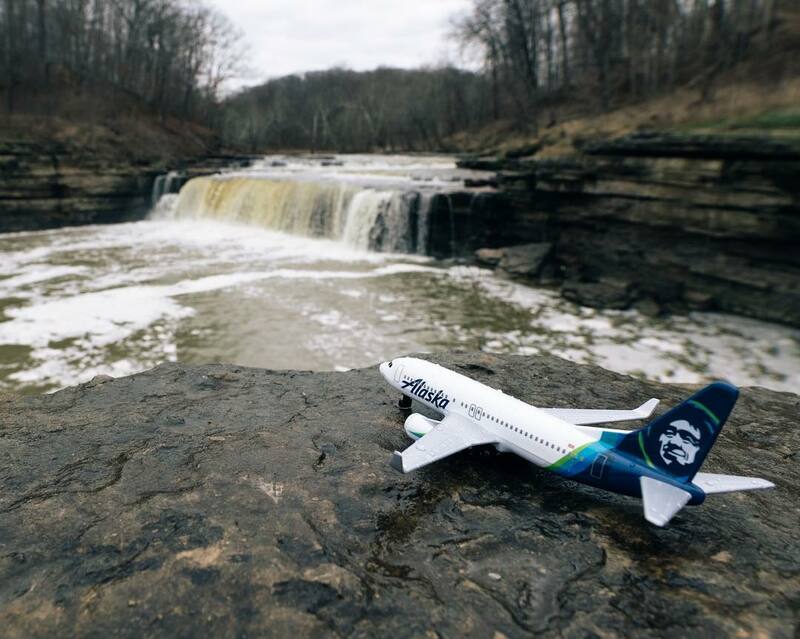 I am taking over the @AlaskaAir IG the next few days to showcase my favorite areas around Indy and central Indiana. Come juander along. Hey y’all. My name is Juan, and I have juandered around Indy for a decade now. I am here to showcase my favorite spots in Indy and the surroundings areas for the next few days. First one up is Eagle Creek. I visit this city park often because it has great hiking trails and spectacular views. This city park offers a diverse landscape not found in other parts of the city. 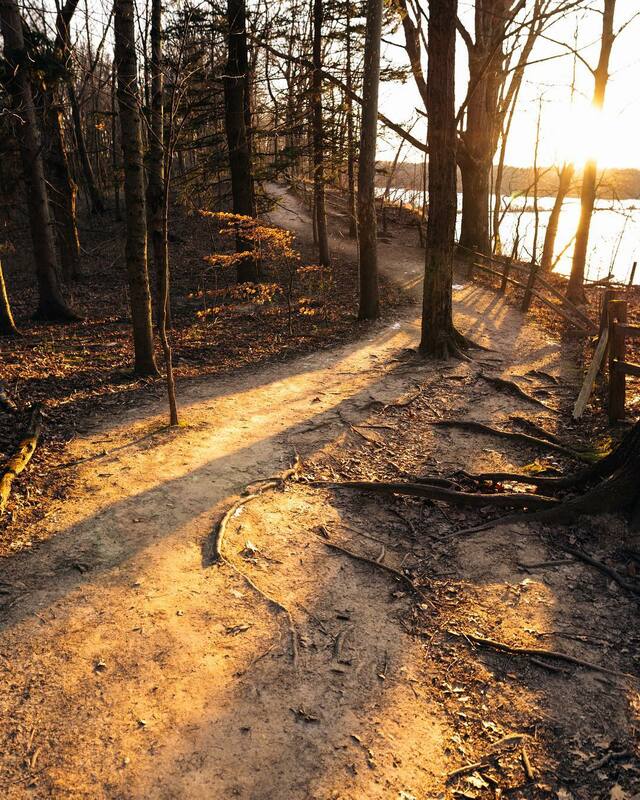 With a short drive from downtown, this park has great hiking trails and serene vistas to view the rising and setting sun. With the recent rainfall, hiking in Turkey Run was quite eventful. Head over to @alaskaair as I finish up my takeover showcasing two of my favorite places to be outdoors. Go grab a rental car, and drive an hour west of Indy. You won’t be disappointed with the steep sandstone cliffs, waterfalls, rivers, canyons, gorges, and ravines that reside within these two parks. Twelve miles separate the parks so make sure to take your lunch to-go and make this excursion a day trip. There are over 8 state parks about an hour drive radius from Indy. 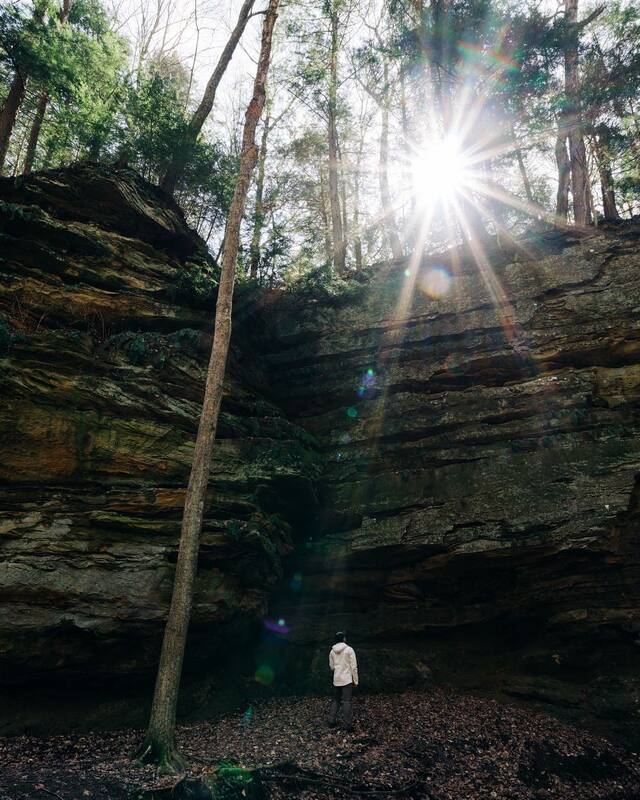 Shades State Park, my personal favorite, offers terrain you generally don’t see in Indiana. Grab a to-go lunch and some snacks to take a day trip out here for all the hiking and canoeing possibilities. Flying for love in Alderaan places. Located less than an hour southwest of Indy, this is Indiana’s largest waterfall by volume. 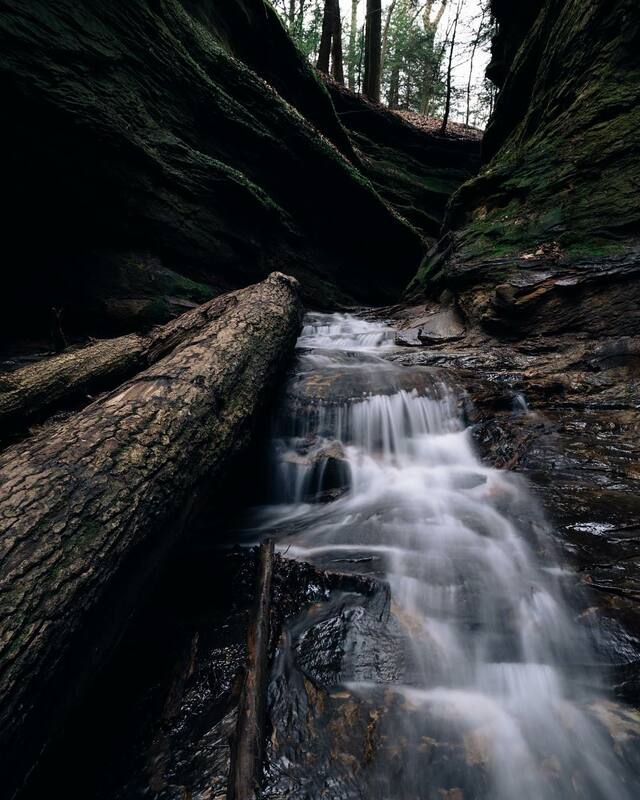 In this state recreation area, you’ll find two waterfalls, Upper Falls and Lower Falls with a hiking trail connecting the two viewing areas. 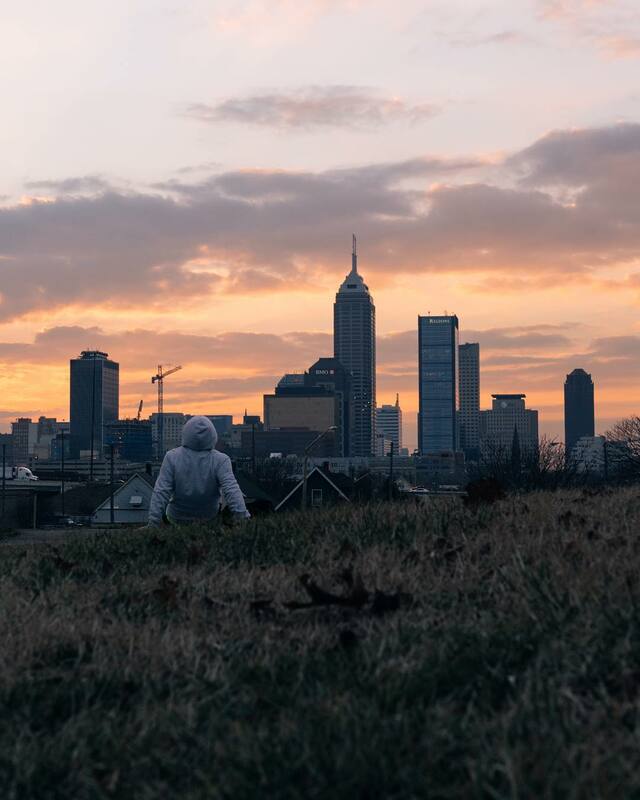 Signing off with my #localwanderer takeover of the best view to watch the sunset in Indy, Highland Park. Thank you #AlaskaAir for allowing me to showcase a small snippet of what Indy and Indiana has to offer. Looking for a great view of Indy’s skyline with the setting sun? With free, curbside parking, this is THE park. The story behind this land is quite fascinating. Before the last family member of the Highland Home passed away, it was sold to the city of Indianapolis on two conditions: one; the house be torn down after the passing and two; the over 4-acre lot be made into a park. The Indiana Statehouse pays homage to the Parthenon. While Indiana limestone can be found throughout the structure, the doors are made up of Indiana Oak. Took the state four times to get it situated so better late than never, right? The state capitol building of Indiana, this building pays homage to the Parthenon with the interior modeled after the Italian Renaissance style. The doors of the building are made of Indiana Oak while Indiana limestone can be found throughout the structure. 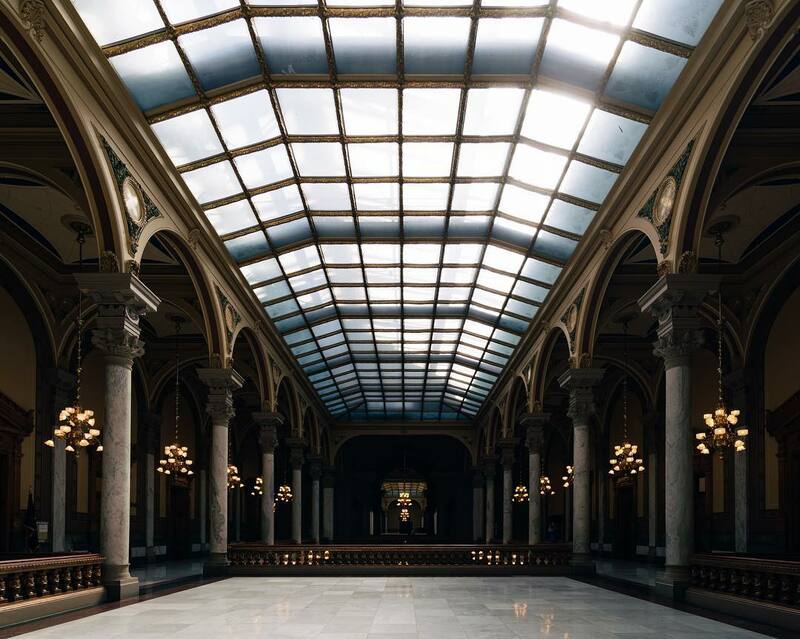 Here is the interior to the Indiana State House to pay homage to the Italian Renaissance style. Fun Fact: This is Indiana’s fourth statehouse. The original statehouse resides in Corydon, IN, the former state capitol. 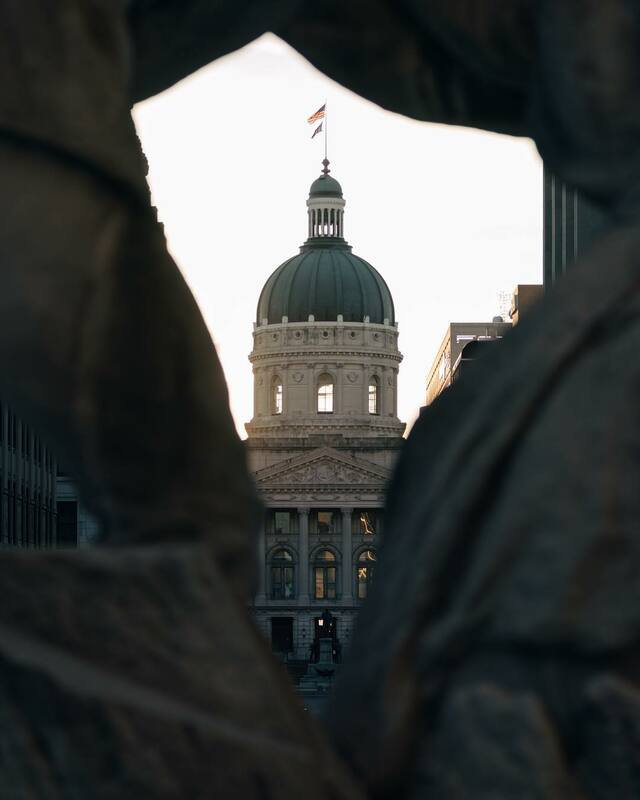 The second and third statehouse were built in Indianapolis though were left in the dust due to crumbling infrastructure and a growing population size. The pride and joy of Indianapolis, Monument Circle. Fun facts: The Soldiers’ and Sailors’ Monument is 15 feet (4.5 meters) shorter than the Statue of Liberty. The observation deck is at the top, which takes 331 steps to ascend or you can take an elevator for a small fee. Get those stretchy pants ready! 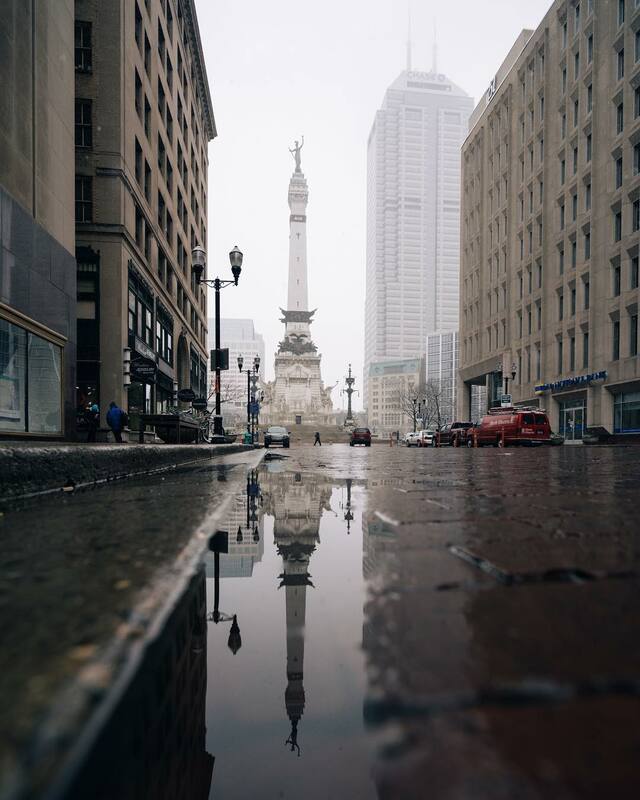 This monument, 15 feet shorter than Statue of Liberty, is built on Monument Circle, the epicenter of Indianapolis. The structure is made primarily of Indiana limestone. An observation deck resides at the top of this monument. You have two options to reach this area, walk 331 steps up the staircase or pay a small fee the take the elevator up and climb the remaining 31 steps. 4 comments on "6 must-visit spots in and around Indianapolis"
I love Indy. Literary note: a lot of the downtown buildings were designed by Kurt Vonnegut’s father. Indianapolis Motor Speedway, home of the Indy 500, and the Hall of Fame Museum are not in the top 6? Please. Hi, Jim. Those are very notable places that receive a ton of exposure on a national and international level. I wanted to showcase parts of Indy that don’t receive much exposure as I have noticed from living in Indy for a decade now. Keep in mind that mentioned at the top of the blog, this is my point of view as I grew up to love the outdoors and acquired a love for architecture. Take care.